Google Voice is great, especially if you’re on a mobile platform that offers a native Voice application (namely Android or BlackBerry). 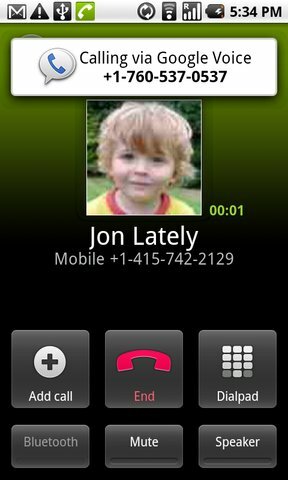 But if you’ve been using the service on a regular basis, you may have run into an odd issue: sometimes when you go to actually call someone there’s a lag, as if the phone isn’t altogether sure what it’s supposed to do when you tap on the ‘Call’ button next to a contact’s name. Today, Google is getting rid of that lag in its native applications. As Google details in its blog post, that pause was due to Google Voice making a small data request to Google’s servers whenever you initiated a call, which would return the number the application was supposed to dial. That works well enough when you have a decent 3G or EDGE connection, but it can also lead to annoying timeouts and pauses when you don’t. The new version of the Voice applications fixes this by assigning a unique phone number to your contacts, bypassing the need to initiate a data connection. In other words, your outbound calls should be faster now. Disclosure: The Google Voice team has ported my cell number over to the service, as they did with Michael’s number.